The following is a reposted article from Adventure Travel News on July 11, 2017. 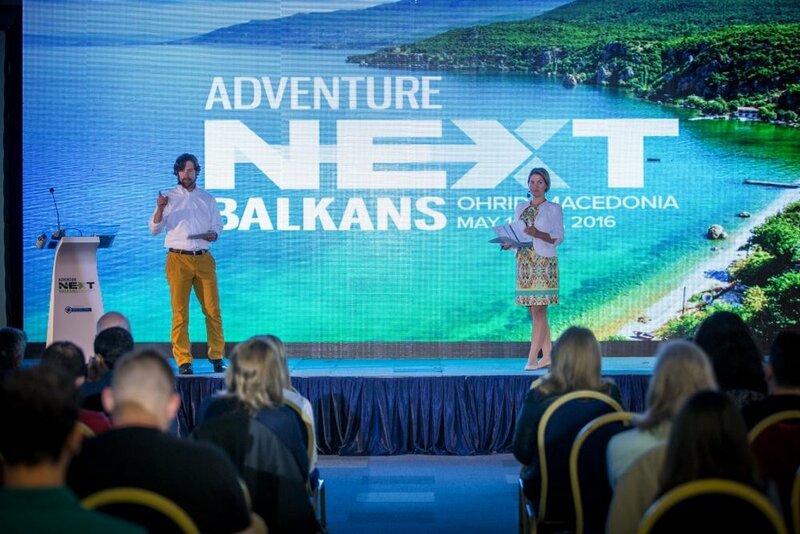 In May 2016, the Adventure Travel Trade Association (ATTA) hosted the AdventureNEXT Balkans regional event. After only one year, the ATTA is able to report a significant impact as a direct result of the gathering, which brought more than 40 adventure tour operators (buyers) and 20 international journalists to the Balkan region. During AdventureNEXT, which was held 10-12 May in Ohrid, Macedonia, special focus was on 12 countries, and delegates had an in-depth opportunity to experience and learn about adventure travel in the region. Last September, the ATTA shared the early outcomes from the event. To track progress and report to the event’s partners and participants, the ATTA reached out to participating buyers and asked them about their new partnerships as a result of their attendance at AdventureNEXT Balkans. Close to 50 new trips were developed between May 2016 and the beginning of 2017, 35 experiences in 2017, and 24 for 2018. Not all participating buyers responded when the ATTA got in contact, and there are likely even more trips. AdventureNEXT Balkans 12-months Report summarizing newly developed tours. Price and size of the excursions varies based on the types of experiences, their length, level of sophistication, number of destinations included, and more. For example, a long weekend enjoying the summits in Bulgaria, offered by the United Kingdom’s leading adventure operator KE Adventures, costs a bit over $400 USD while the United States-based TSC World Travel offers an exclusive 23-day Kingdoms and Cultures of Eurasia trip by private jet visiting Albania, Romania, Portugal, Lithuania, Kyrgyzstan, Turkmenistan, Iran, Oman, and Spain for $80,000 USD, a price point that has increased since the report was published. The branding and media exposure surpassed the investment a destination makes for hosting such an event. AdventureNEXT Balkans 12-months Report summarizing media ad value. “6 Non-Touristy Balkans Destinations That Should Top Your 2017 Travel Lists” by Michaela Trimble in Vogue.com. It is the mix of sensational media coverage and buyers’ ability to cooperate with local partners that has sparked the impact and progress in the area. Ivana Milicevic Kalić from Travel Agency Rams in Montenegro said, “These kinds of happenings, like the one in Ohrid, can give great opportunity to all the tour operators from the Balkans to meet buyers and journalists who are still not aware of the wild beauty we have to offer. My wish and proposal would be that you consider organizing the next AdventureNEXT Balkans in Montenegro.” In fact, this is how the conversation started about holding a regional gathering in the wider Balkans region, and Macedonia took the opportunity to host the first one. The ATTA will continue to monitor developments and plans coming out of the Balkans region, and we anticipate more interest and new experiences in the coming years. However, monitoring sustainable progress will require months and years of cooperation, investment in sustainable tourism development, and consistency on behalf of the destinations in their marketing focus and direction. If you haven’t see it yet, take a moment to view the wrap-up video from the AdventureNEXT Balkans event.